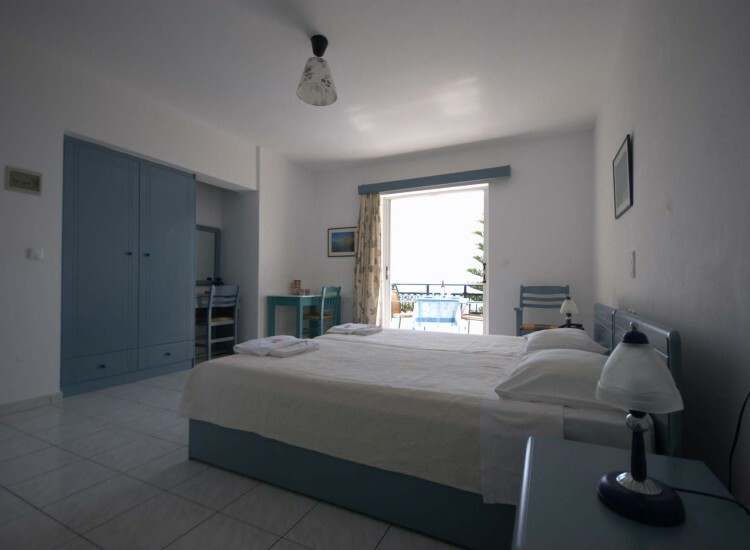 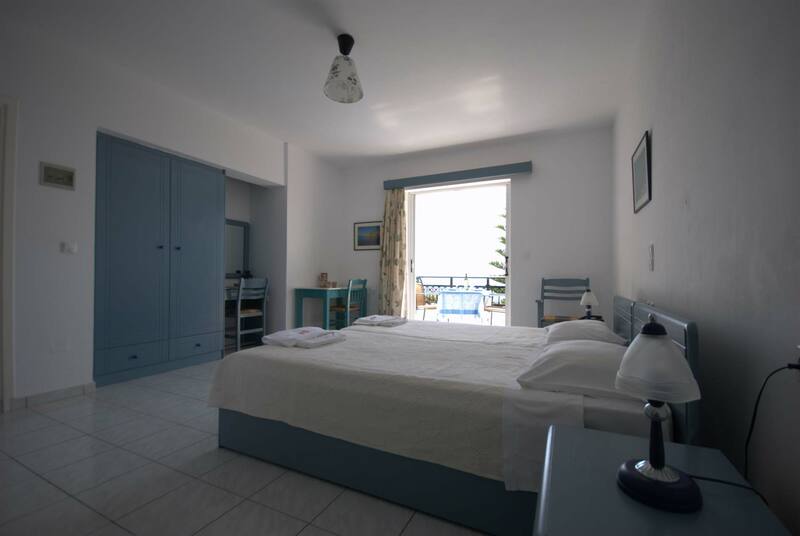 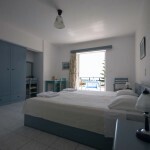 Sea View studios are large with great balconies, fully furnished with private bathrooms, fully equipped with stove, kitchen utensils, refrigerator, coffee machine, air condition, satellite Smart TV and free wireless Internet connection. 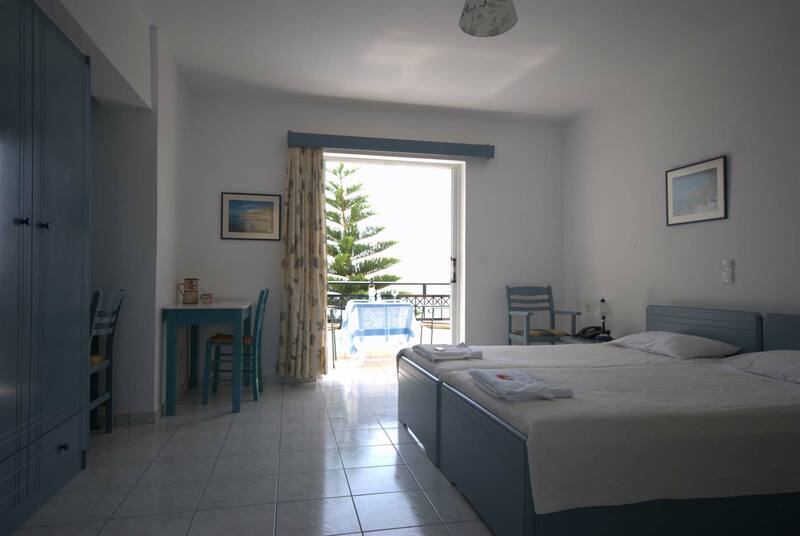 All studios have 2 single beds or 1 double bed. 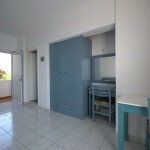 Some studios can host a third person upon request. 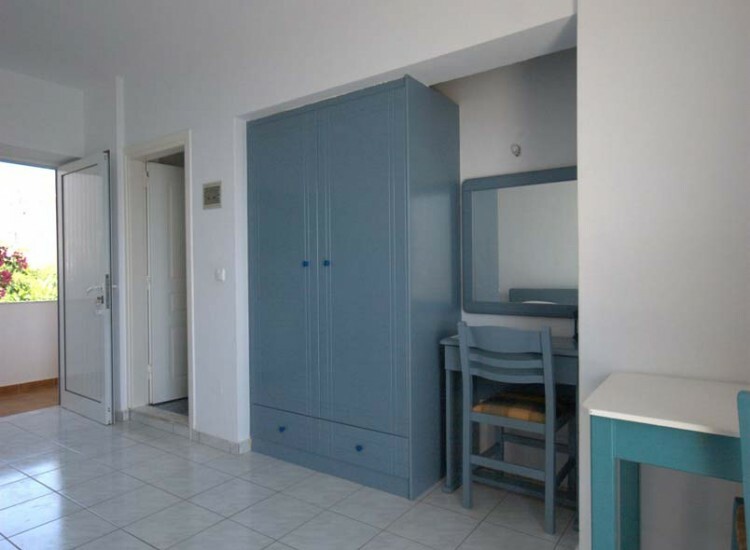 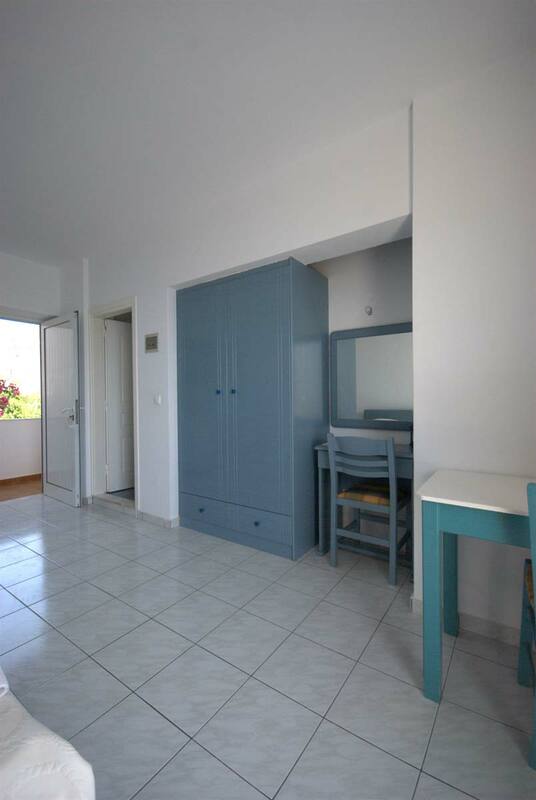 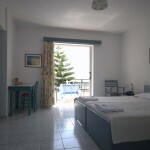 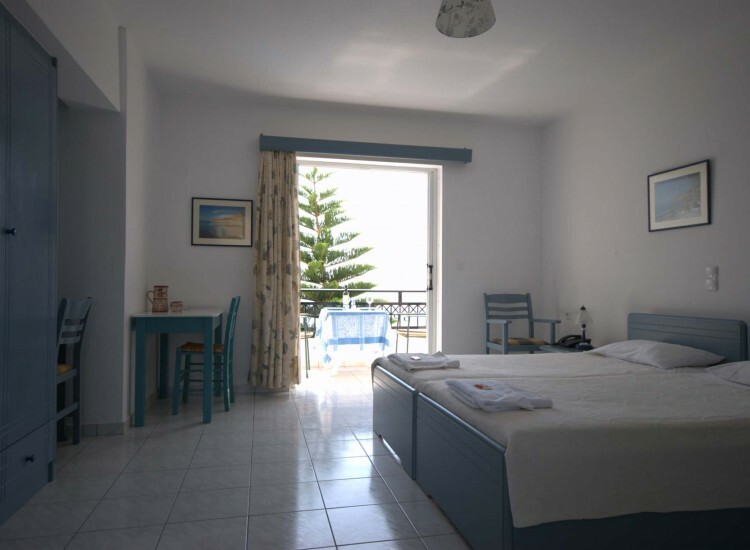 All Studios have uninterrupted views to the sea since it is a few meters away from the beach.